In 2010 Moscow invited NATO to find a common denominator, but the sides could not reach an agreement. 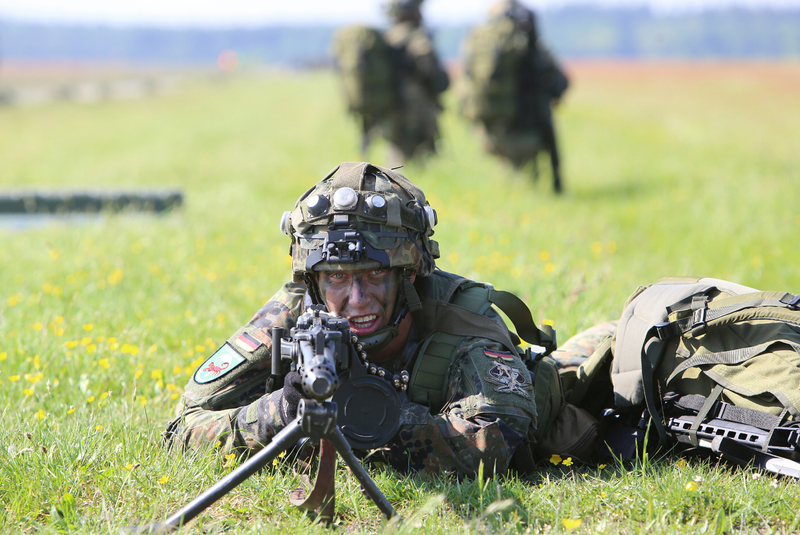 Responding to the decision by the United States to position heavy weaponry in Eastern Europe, it is likely, Russian analysts opine, that Moscow will deploy some of its offensive potential along its borders with the Baltic States. The Pentagon plans to raise its presence in Eastern Europe by deploying 250 units of armoured vehicles and 4,200 servicemen in the region, to “take measures if something happens.” The US Ministry of Defence is seeking to allay concerns of its Eastern European NATO allies, worried by a seeming lack of U.S. participation in maintaining their defences. Robert Work, U.S. Deputy Defence Minister said in an interview with The Wall Street Journal that the Pentagon plans to position additional forces on NATO’s eastern borders on a regular basis. The reinforcements will include tanks, Bradley fighting vehicles, Paladin self-propelled howitzers and over 1,750 more military vehicles. Work told the WSJ, “There will be a division’s worth of stuff to fight if something happens. If push came to shove, they'd be able to come together as a cohesive unit that has trained together, with all their organic equipment, and fight. That's a whole lot better than what we have right now," he said. The newest American armaments will be deployed in Estonia, Lithuania, Latvia, Poland, Bulgaria and Romania. According to observers interviewed by Kommersant business daily, once this plan is put into effect, it will force Moscow to deploy its forces on its borders with the Baltic States, including units capable of destroying American hardware in the event of an attack. If the plan takes effect, Washington will deploy heavy weaponry in Eastern Europe that will supply between 3,000 and 5,000 servicemen (the same amount of technology was deployed in Kuwait after the Iraqi military invasion in 1990), wrote Kommersant. According to a high-ranking source in the Pentagon, the amount of American technology that may be positioned in the former Soviet republics and Eastern Bloc countries under the name ‘European Activity Set’ is around 1,200 units, including 250 M1-A2 tanks, Bradley armoured vehicles and armoured howitzers. Polish Defence Minister Antoni Macierewicz said talks to deploy American heavy weaponry in Poland are already in progress. "The U.S. is preparing a network of various activities in which it is extremely important to deploy heavy weaponry in Poland and other countries," said Macierewicz. Serious danger for Russia's security? A high-ranking source in the Russian Defence Ministry has called America's plans to deploy heavy weaponry in Eastern Europe as "a serious destabilizing factor." The 1997 NATO-Russia Founding Act prohibits the alliance from deploying "substantial military forces" on the alliance’s eastern flank on a permanent basis. Furthermore, Moscow and NATO understand the numbers that constitute "substantial military forces" differently. Russia considers America's rotational deployment of its armed forces units, comprising 2,000 to 6,000 servicemen, in Bulgaria and Romania as "substantial." In Washington’s view, the brigade does not fall in the category of "substantial." Vladimir Yevseyev, director of the Centre for Social-Political Research at the Russian Academy of Sciences, said the deployment of American heavy weaponry near the Russian border "will present a serious danger for Russia's security." Yevseyev believes Moscow will respond to Washington's plans by deploying its offensive potential on the borders with the Baltic States. "In the end, the Baltic states will not feel safer, but on the contrary, will become hostages to the U.S.-Russian confrontation," he warned.